Feel nostalgic with Vintage Noel a traditional collection of Christmas designs and classic colour palettes to inspire your Christmas craft projects. 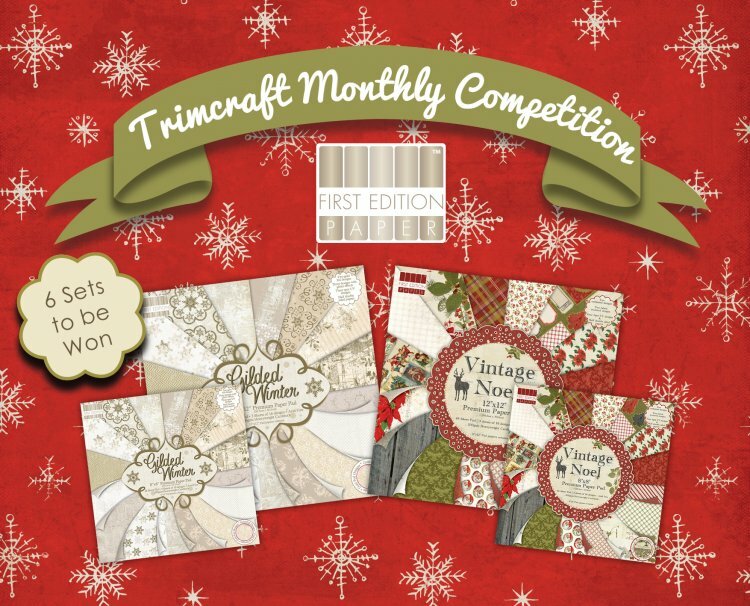 For October we are offering 6 crafters the chance to win our Vintage Noel & Gilded Winter collections. The Gilded Winter has been so popular that these are the last 6 we have in stock, and they could be yours! This year all that glistens is gold, be delighted by the stunning effects in the Gilded Winter papers. The beautiful Gold and cream colour palette to bring a touch of elegance to your festive crafting. All you have to do is log in and click the enter button above. We shall choose the winners on the 31st October 2014, good luck!